A vitamin D supplement for children that helps to develop and maintain healthy bones and teeth, and prevents vitamin D deficiency. Every member of your family should be taking a vitamin D supplement, even the little ones. A deficiency can cause rickets (softening of the bones) particularly in the first two years of life. Lack of vitamin D can also compromise bone density and strength and can even cause joint pain. Vitamin D is vital for the growth, development, and maintenance of healthy bones and teeth. Medium chain triglycerides from coconut and palm, d-alpha tocopherol. 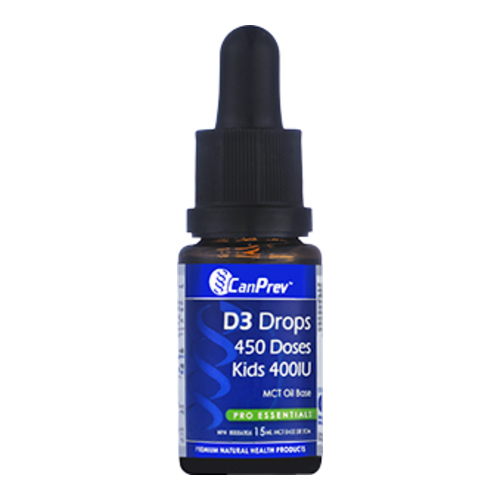 Infants and older - Take 1 drop per day or as directed by a healthcare practitioner.